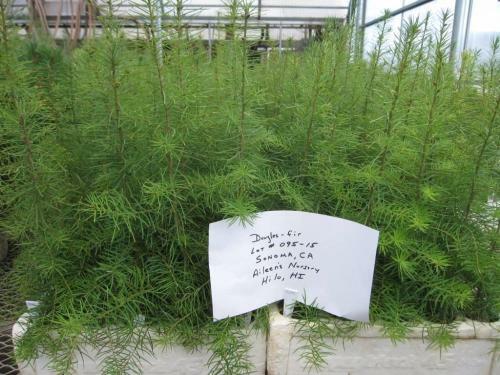 The ‘Āina Mauna Christmas Tree Demonstration Project involves importing and propagating seed and outplanting seedlings (Douglas fir, Noble fir, and Grand fir) on Department of Hawaiian Home Lands (DHHL) land in Humu‘ula/Pi‘ihonua on Hawai‘i Island. Our goal is to demonstrate that top quality Christmas trees can be successfully grown here in Hawai‘i. According to the Hawai‘i Department of Agriculture, shipments of Christmas trees from the Pacific Northwest have been found to be widely infested with slugs and other pests that are not found in Hawai‘i. The concern about the heavy infestation of slugs is that they may carry the parasite, Angiostrongylus cantonensis, or rat lungworm, which causes a disease that affects the human brain and spinal cord. Once an invasive pest or disease becomes established in Hawai‘i, it may have a devastating impact on Hawai‘i agriculture by causing damage to crops and is often costly for the state and growers to control. These invasive species can be very harmful to Hawaii’s unique ecosystems, and by providing Hawai‘i with locally grown Christmas trees we can support import replacement and promote the “Buying Local, It Matters” message. Additionally, we would like to bring the holiday tradition of getting the family together to visit a tree farm and picking out a Christmas tree to Hawai‘i. Our intent is that this demonstration project leads to hundreds of acres of Christmas trees on several islands. Just like buying local produce, purchasing local Christmas trees will support local growers and will be free of invasive species. It is our intention to start selling the trees in five to six years and have the proceeds from tree sales go back into the project for planting more trees, ongoing maintenance, and educational activities and materials. Demonstrate that top quality Christmas trees can be successfully grown in Hawai‘i. Reduce the amount of invasive species coming into Hawai‘i from imported Christmas trees. Provide Hawai‘i with locally grown Christmas trees to support import replacement and promote the “Buying Local, It Matters” message. Bring the holiday tradition of getting the family together to visit a tree farm and picking out a Christmas tree to Hawai‘i. Eventually selling the trees and have the proceeds go back into the project for planting more trees, ongoing maintenance, and educational activities and materials. In April 2015, HFIA received a second Hawai‘i Department of Agriculture (HDOA) Sponsorship-Product Promotion grant award. 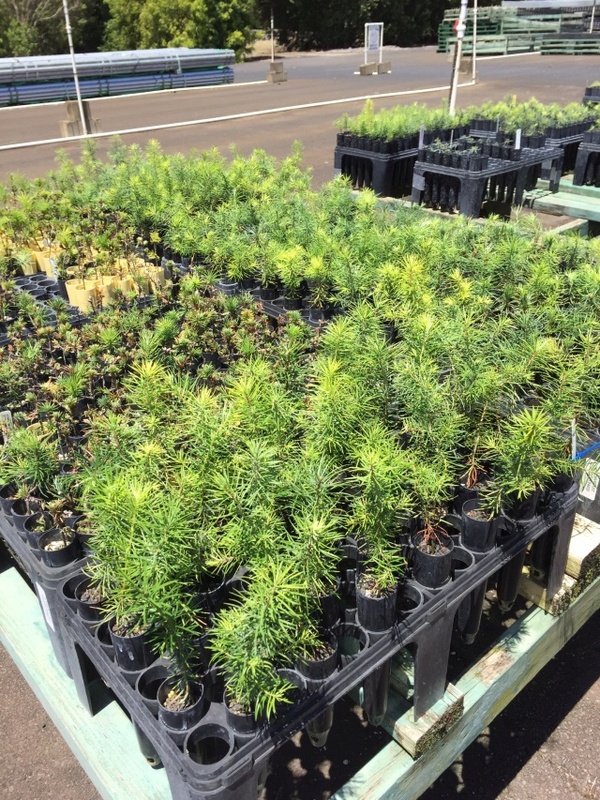 Aileen Yeh imported seed and propagated 2,300 Douglas fir and Grand fir seedlings, which were average 5” tall in July 2015. Forest Solutions Inc. has been maintaining the site and preparing it for planting. Forest Solutions also planted 200 seedlings while they were at the site in August. 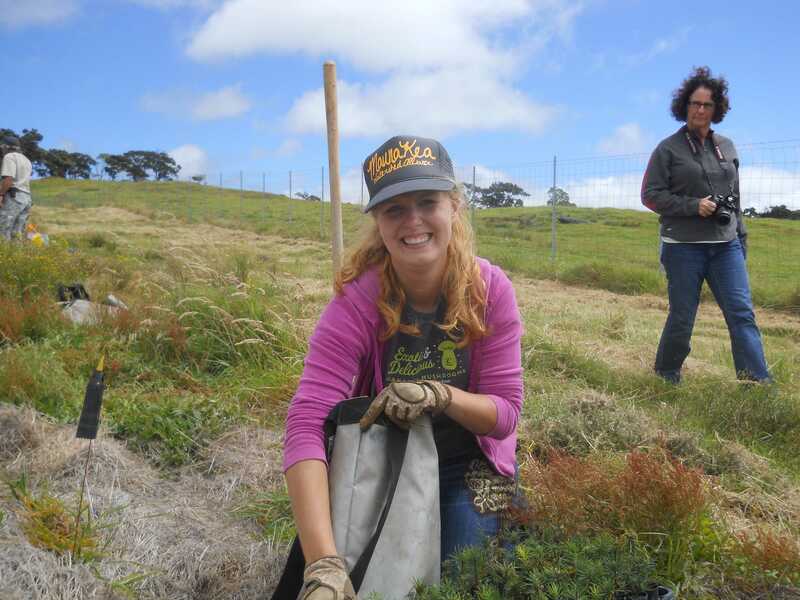 We are planning hold a volunteer planting in October 2015 and a volunteer workshop/planting day in March 2016, which will include presentations, followed by planting demonstrations and outplanting seedlings. Douglas, Noble, and Grant fir at the DOFAW State Nursery. HFI has been consulting with Anthony S. Davis, PhD, Head of the Department of Forest, Rangeland, and Fire Sciences and Associate Professor of Native Plant Regeneration and Silviculture at the University of Idaho. Dr. Davis will be coming to Hawai‘i in March 2016 to further advise on seed propagation and speak at the workshop. He is growing seedlings from the same seed lots as Aileen Yeh is using here in Hawai’i. He will use his seedlings to help set targets for the Hawai‘i seedlings. Douglas fir seedlings at the University of Idaho.